Lucia Serena Rossi is a Professor of EU Law at the University of Bologna. The Taricco saga has produced an endless flow of analyses, conferences, seminars. Just surfing the web one can find several comments (Gallo, Amalfitano, Bin, Sarmiento, Steinbeis, Faraguna, Bassini and Pollicino, Repetto) and even theatrical pieces (Gradoni). All this doctrinal effort is convergent in stressing how difficult has become the coexistence between the doctrines that have been developed so far by the ECJ on one side and the national Constitutional or Supreme Courts on the other side. By a preliminary reference, the Italian Constitutional Courts is asking the ECJ to re-interpret (i.e. to re-write) its previous decision Taricco I (C-105/14), which had affirmed that the protection of the EU financial interests must be assured by national judges, disregarding whatever national rule that is in contrast with art, 325 TFEU because the latter has a direct effect. The national rule was in this case a law that had reduced the limitation period for prosecuting the VAT frauds. The Italian Court explains that, since the limitation period for the frauds committed by Mr. Taricco had expired, the Italian judges couldn’t give direct effect to art 325 TFEU -and ignore the time-barring effect without violating the fundamental principle of legality. In other words the application of the Taricco I decision by the remitting judges would trigger the Italian constitutional “counter-limits”. For this reasons the Italian Constitutional Court is kindly asking the ECJ to find a solution. Taricco is a decision where major constitutional principles and legal weaknesses are involved on both sides. As to the principles involved: if for the ECJ, autonomy, primacy and direct effects constitutes the very essence of the EU legal order; for the national Constitutional Courts certain fundamental rights—which can be perceived or interpreted in different ways in the national legal orders—are not subjected to any sort of restriction. By consequence when the distinct legal orders of the EU and of the Member States intertwine, the balance—or the respective hierarchy—among all these fundamental values becomes a difficult operation. Both ECJ and Constitutional Courts therefore act as sentinels of the respective fundamental principles. But their sentry-boxes are shaky because both the doctrine of the counter-limits, from the one side, and that of the direct effects, on the other side, are not immune from ambiguities and logical weaknesses. Counter-limits should reflect the very essence of each Member State’s constitutional identity: but the unity of the EU supranational system could tolerate exceptions to the supreme principle of primacy of the EU Law only if such values can be considered as worthy to be recognized as fundamental values at EU level. A similar reasoning was developed by the ECJ with regard to the mandatory requirements. The doctrine of direct effects (resulting ultimately in the disapplication of the conflicting national legislations) is equally grounded on a very delicate theoretical equilibrium. Such a doctrine was created by the ECJ, in the silence of the Treaties, as a sort of sanction against negligent Member States and with a clear reference to the “benefits” that a direct application of the EU primary law first (Van Gend) and of the Directives later, would have brought to the individuals. This is why the “reverse” vertical direct effect (Ratti) and the horizontal effects of Directives (Faccini Dori) have been always refused by the ECJ. What is peculiar of Taricco I is that by reaffirming this doctrine with reference to Art. 325 TFEU (an Article which is clearly directed to the States) it creates consequences in pejus for the individuals. Secondly, Taricco is a decision that shows the difficulties in applying direct effect through preliminary rulings, used as a mean to substitute an infringement procedure that should have—but had not—been promptly triggered by the Commission. If the milder Italian legislation would have been immediately prosecuted by the watchdog of the Treaties, much doctrinal and judicial labour could have been spared. But now, after the new Taricco reference made by the Italian Constitutional Court the ECJ is confronted with a delicate problem. How could it produce a Taricco II that a) does not contradict its previous case law (from Van Gend to Taricco I passing through Simmenthal and many others) and b) is “empathic” (see Sarmiento) towards the claims of the Italian Constitutional Court? These claims are neither unreasonable nor irrelevant, since there is a serious risk that the saga ends with the application of the counter-limits: an inelegant finale that the Italian constitutional judges—traditional supporters of EU law—are desperately seeking to avoid. Since so many contributions have already been produced around Taricco, I would here only try to imagine how the operative part of Taricco II could be declined in order to achieve a balance between the EU fundamental values and national fundamental rights. The doctrine of direct effects of European Union law has been affirmed since its foundations for the benefit of the rights of the individuals. By consequence it has been mainly developed with reference to a vertical one-way relationship, where individuals can claim the application of the provisions of European Union law against a Member State and its legislation. However—differently from the Directives—specific provisions of the EU Treaties can directly be source of obligations for individuals, when this can be deduced from their wordings or from the interpretation of the Court of Justice. Since Art. 325 TFEU is addressed to the Member States, the possibility of relying on this provision in order to negatively affect the position of the individuals involved requires a careful assessment, which takes into account all the fundamental principles at stake. Primacy, direct effect and autonomy of European Union law are the highest principles of the European Union legal order because they are associated with the very existence of the European Union. By consequence, as a general rule, the national judges are due to disapply the national provisions conflicting with European Union law. However, as it was affirmed by this Court in Taricco I (para 53), in doing so the national judges must verify the respect of fundamental rights, which are also fundamental principles of European Union law. It is for the national judge to assess whether an extension of the limitation period established by the national legislation in violation of European Union law is able to give rise for the individuals to a right that can be defined as fundamental in that specific legal system, also in the light of European Union law, including the Charter of Fundamental Rights of the European Union, and of the case law of the Court of Justice. Should any mitigation of the direct effect of Art. 325 TFEU result indispensable in a specific circumstance for the protection of fundamental rights, it shall not affect the obligation to make right of the damages pursuant to civil and administrative law. Member States are under the duty to combat and prevent illegal activities affecting the financial interests of the European Union through effective deterrent measures respecting the principles of equivalence, effectiveness and dissuasiveness. The European Commission must constantly oversee the fulfilment of such a duty by the Member States, using all the instruments provided for by the Treaties if they fail to comply with. This is of course just one more exercise of legal imagination. The ECJ and the Constitutional Courts, in all their isolated splendour (or splendid isolation), preferred so far to follow parallel lines, whose meeting could only take place ad infinitum. However, if the parallelism collapses, the two lines are doomed to crash. The necessity of a dialogue among the Courts has recently been reaffirmed in Luxembourg, in the occasion of a celebration of the 60 years of the Treaty of Rome. This judgment, involving both Luxembourg and Rome, could be an excellent opportunity for showing that such dialogue really works. 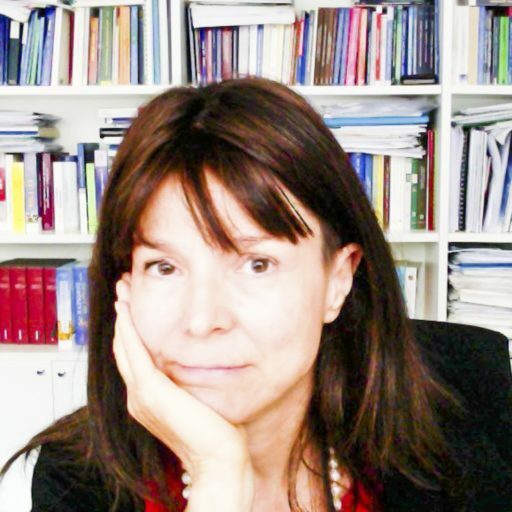 SUGGESTED CITATION Rossi, Lucia Serena: How Could the ECJ Escape from the Taricco Quagmire?, VerfBlog, 2017/4/21, https://verfassungsblog.de/how-could-the-ecj-escape-from-the-taricco-quagmire/, DOI: https://dx.doi.org/10.17176/20170421-081929.